Timeframe: Estimated at three (30-minute) sessions, 90 minutes total. Traditional music and dance play a big part in most cultures, because they are so often a part of the important events in people's lives. Holiday celebrations, "rights of passage" such as births and weddings, and other important family and community occasions all feature special music, and often dance, as well. Music and dance traditions of ethnic groups tend to survive almost as long as traditional ethnic foods. In part, the longevity of all these kinds of folklife might be because they are not as dependent on the retention of a native language as are oral traditions, such as storytelling or folk poetry. Also, music and dance are activities that, by their very nature, lend themselves to socializing and the participation of large numbers of people. By contrast, many traditional crafts and other material folk arts require a great deal of solitary time, individual dedication, and access to specialized tools and materials. Music and dance are good introductions to other cultures for students, because they are so inclusive. This activity introduces students to these traditional arts, and also enables them to explore one or more of the traditions in some depth. Explore the traditional music of one Nebraska culture and bring information about it to share with the class. 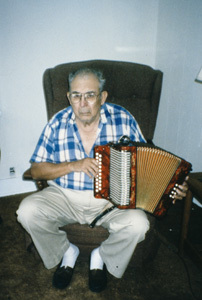 Compare and contrast traditional music from two or more Nebraska cultures. Compare and contrast traditional dances from two or more Nebraska cultures. Review the materials and resources for this activity. Review "Background Information for Teachers" below. The list below contains examples of Nebraska's many cultures and the varied kinds of traditional music and dance that appear in those cultures. Definitions of terms are in the glossary. School media centers and public libraries often have recordings and videos of these performance traditions, and you will also find examples on the Internet. African American Culture - "Omaha jazz" was a type of jazz playing developed by Omaha musicians in the 1930s and 1940s, derived from the influential Kansas City style. African American churches in Omaha and other communities have strong traditions of choir and quartet singing. Spirituals and gospel music make up their primary repertoire. The Voices of Victory choir at Salem Baptist Church in Omaha, for example, is well known for its traditional and contemporary gospel performances. African Immigrant Cultures (More Recently Arrived) - Ghanaian, Kenyan, Nigerian, Senegalese, Sudanese, and other African cultures are now represented in Nebraska. Many of these ethnic groups are noted for their distinctive traditional dances accompanied by drums and other musical instruments. The Lincoln-based Ashanti performs traditional Ghanaian drum and dance music as well as contemporary world beat music. Asian and Pacific Island Cultures - Nebraska has a variety of cultural groups from Asia and the Pacific. Some have resided in the state for decades, such as the Chinese, Japanese, and various Southeast Asian groups, notably Vietnamese. More recently, Asian Indian, Thai, and members of various Pacific Island groups have settled here. Traditional Asian Indian dancing and religious singing, Hmong singing games, and Hawaiian hula are a few examples of these cultures' specific traditions. In addition, some traditions have become pan-Asian, meaning that they are shared between several ethnic groups. 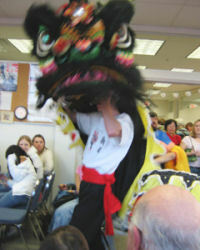 The Lion Dance is popular in both Chinese and Vietnamese cultures. 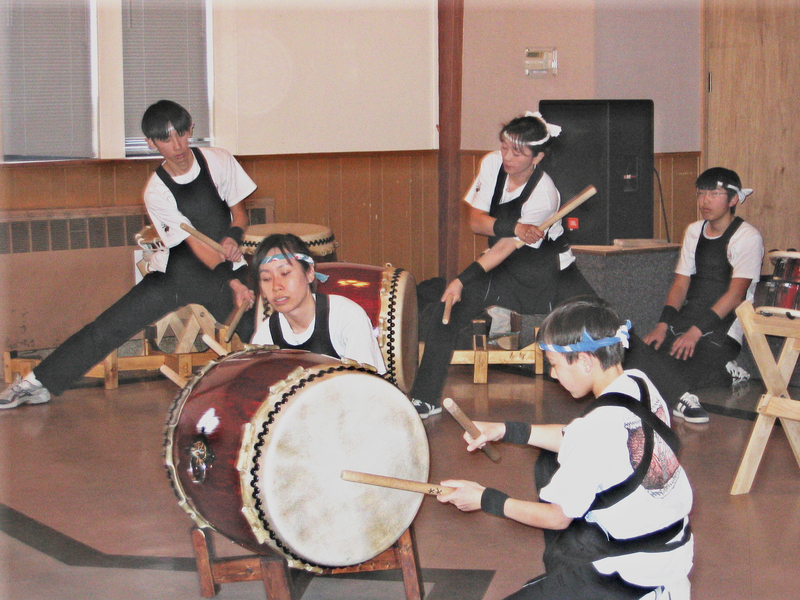 Taiko drumming, while originally Japanese, attracts performers from a range of backgrounds today. Eastern European Immigrant Cultures (Earlier and More Recently Arrived) - Nebraska is home to people from Bosnia, Croatia, the Czech Republic, Estonia, Latvia, Lithuania, Russia, and Serbia. Some of these people have been in our state since just after World War II and some have arrived quite recently. Many came as refugees from wars and other conflicts in their homelands. All have brought elements of their cultures with them. Some examples of traditional music genres from these cultures include tamburitza music from both Serbia and Croatia and balalaika ensembles from Russia. Latino Cultures (Earlier and More Recently Arrived): Two of the more well-known genres of traditional Mexican music are mariachi and conjunto. (Conjunto is also called Norteno or TexMex.) 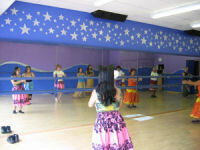 Several ballet folklorico (traditional Mexican regional dance) groups exist in Nebraska. Mexico and the other Latin American countries from which many newer immigrants have come to Nebraska, such as El Salvador, Guatemala, and Cuba, all have their own traditional religious music, songs for Christmas and feast days of the saints, traditional and contemporary dance music, and folk songs as well. Middle Eastern Cultures (More Recently Arrived) - Numbers of Afghan, Iraqi, Iranian and Kurdish immigrants have recently come to live in Nebraska, especially in the cities of Lincoln and Omaha. All of these cultures have their own versions of traditional music and dance. Music from this region often includes traditional instruments such as the oud (a lute-like instrument used extensively in Iraq), the santoor (a hammered dulcimer from Iran), and various drums. These countries have traditional wedding dances and other types of folk dancing. Religious music in the Middle East most often is sung unaccompanied. Native American Cultures (Historical and Present) - Some of the musical and dance traditions of Nebraska's Native American cultures include: men's and women's traditional and fancy dancing, other more specialized dances such as men's grass dancing and women's jingle dress dancing, powwow drum groups, "49 songs" and other social dance songs, family songs, and warrior songs. Play examples of any of the traditional music, including music for dances, outlined above for the class. Audio samples are included here and you can find others on the Internet or in library collections. Ask students to share information about any other examples of these types of traditional music and dance that they have seen, heard, and/or participated in. For what occasions is this music or dance performed? How do people learn this music or dance? What is the history of this music or dance, both in the country or culture where it originated and here in Nebraska? What do you like about this music or dance? Describe what is beautiful, interesting, or attractive about it. Ask some or all of the students to report back to the class on the information they found about their chosen traditional music or dance. Initiate a class discussion comparing two types of traditional music that are similar, but from different cultures. Do they have the same or different tempos, instruments, musical scales, or occasions at which they are performed? Follow up with a similar discussion of two types of traditional dance from different cultures. If time permits, you can use one of the hands-on activities suggested below to give students a more personal experience with traditional music or dance. Ask students to reflect on the types of traditional music and dance they have experienced, discussed and researched. Ask them to write a paragraph or two about a type or types they found most appealing and why they liked those in particular. Close with observations of your own and observations from the class about the contributions traditional music and dance make to Nebraska and to your community. These can be added to the basic instruction if time and resources permit. In this portion of Lesson 2, students learned about traditional music and dance in many of Nebraska's cultures. They also had the opportunity to research one of more of these traditional arts, and to participate in them in various ways. Students also had the opportunity to reflect on the value of these arts, both to themselves and to other Nebraskans. In the optional extension that follows, students will participate in passing on a food tradition to experience one of their own folklife traditions in greater depth. Explore the traditional music of one Nebraska culture and bring information about it to share with the class? Compare and contrast traditional music from two or more Nebraska cultures? Compare and contrast traditional dances from two or more Nebraska cultures? (8.1.2) By the end of the eighth grade, students will identify, locate, and use multiple resources to access information on an assigned or self-selected topic. (8.2.2) By the end of the eighth grade, students will write compositions with focus, related ideas, and supporting details. (8.3.1) By the end of the eighth grade, students will participate in group discussions by asking questions and contributing information and ideas. (8.4.2) Students will demonstrate skills for historical analysis. (8.4.6) Students will improve their skills in historical research and geographic analysis. (12.1.1) Essential Learnings 1. Students recognize the connections between the arts and their own lives and environments. (12.5.1) Essential Learnings 5. Students develop criteria to evaluate their own and others' creative expressions. (12.7.1) Essential Learnings 7. Students recognize diverse perspectives in the creation, performance, interpretation, and evaluation of the arts. Click on the handout/worksheet, once it opens up, right click and choose "save as" to download documents in PDF. If you don't already have it, you will need Adobe Reader.